Many entertainment careers were started in horror. Leonardo DiCaprio (CRITTERS 3), Angela Bassett (CRITTERS 4), Johnny Depp (A NIGHTMARE ON ELM STREET), Jennifer Aniston (LEPRECHAUN), Jim Carrey (ONCE BITTEN), and directors Stephen Spielberg (JAWS), James Cameron (ALIENS), and Sam Raimi (EVIL DEAD) are just a few who cut their bones through "horrific" beginnings. The success of recent films like GET OUT and THE SHAPE OF WATER in 2018 means that the popularity of horror is breaking through to more mainstream audiences. Writer/Director Nicholas Tana and Producer Denise Acosta from the comedy horror web-series, comic book, and movie, HELL'S KITTY, will be hosting the panel along with special guests Courtney Gains (CHILDREN OF THE CORN), Charles Chiodo (KILLER KLOWNS FROM OUTERSPACE); Dale Midkiff (Pet Sematary), and Sports Illustrated Model turned actress and scream queen, Channel Ryan (CIRCUS OF THE DEAD), for a wonderful, fun-filled panel and Q&A. It’s the question on every filmmaker, actor and writers mind - how do you get representation? Join our expert panelists as they talk about what stands out to them in a client and how you can capture their eye for representation. The saying is “it’s who you know” and in this panel we’ll talk about just that. How do you make connections if you don’t know anyone? How do you get your foot in the door when you don’t have the resources? We’ll go over how you can successful connect - both online and offline - with managers, producers, agents and executives to help you move the needle on your career. This incredible panel of top notch women working in entertainment talk about how they got in and what it’s like to be in positions of influence in today’s market. Join us for a lively discussion and bring your questions for the panelists! Sheila Walcott Production Executive (Creative) from Warner Bros. Representing 20% of our population, the disability community is America’s largest minority group today. Despite the complex nature of their diverse and compelling stories, research shows that people with disabilities are depicted in less than 3% of on-screen roles. The situation is even worse behind the camera. Now there are more distribution options than ever for your short film or digital series. 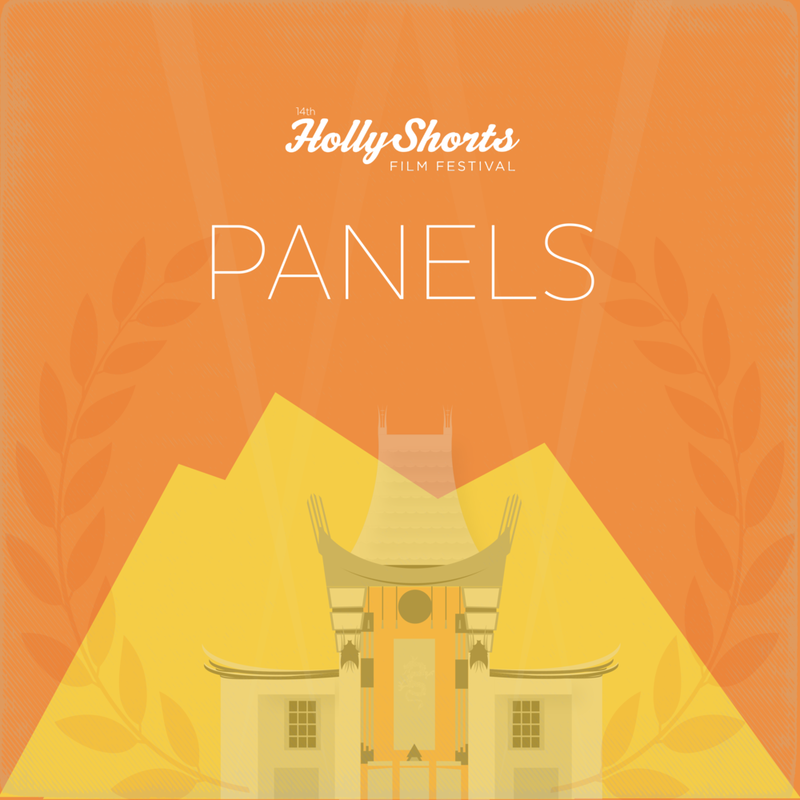 Join our expert panelists on how to navigate distribution for your film and learn about the changing landscape to get your short film seen! Managers and Agents are prime in looking for talent through short films as proof of concept. Our panelists will talk about how short films have helped them as their calling card to get financing for their next films and move over into television and feature filmmaking. Adams is an award winning Producer and Partner, Head of Management at Buffalo 8. Most recently he produced the Netflix Original adaptation of Roger Guenveur Smith's solo performance piece RODNEY KING, directed by Academy Award nominee Spike Lee. Adams produced the Peabody Award winner A HUEY P NEWTON STORY, also directed by Spike Lee. As Head of US Operations for the renowned French VFX House BUF, Adams has VFX Executive Producer credits for such Academy Award winners as James Cameron's AVATAR, Ang Lee's LIFE OF PI, Kenneth Branagh's THOR as well as GREEN LANTERN, GREEN HORNET, Stephen Sommers' ODD THOMAS and Tim Burton's DARK SHADOWS amongst others. Sharon Badal and Kathleen McInnis serve up all you need to know about thriving (and surviving) on the film festival circuit. Whether you take it straight up or on the rocks, these two short film mavens will deliver bracing and practical insider information. Alan Ng, managing editor of FilmThreat.com, lead film critic. Dante James, contributing editor of FilmThreat.com, writer, CNN commentator on pop culture. Bobby Schwartz, director, lead content creator for Film Threat Originals. Jess Del Pino, editor, contributor for Film Threat Originals. Anthony Ray Bench, producer, co-host of the Film Threat Podcast.